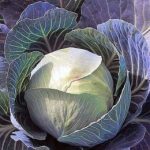 We selected 5 really easy and fun crops for children to grow. They are beautifully presented in a seed tin and growing instructions are enclosed. 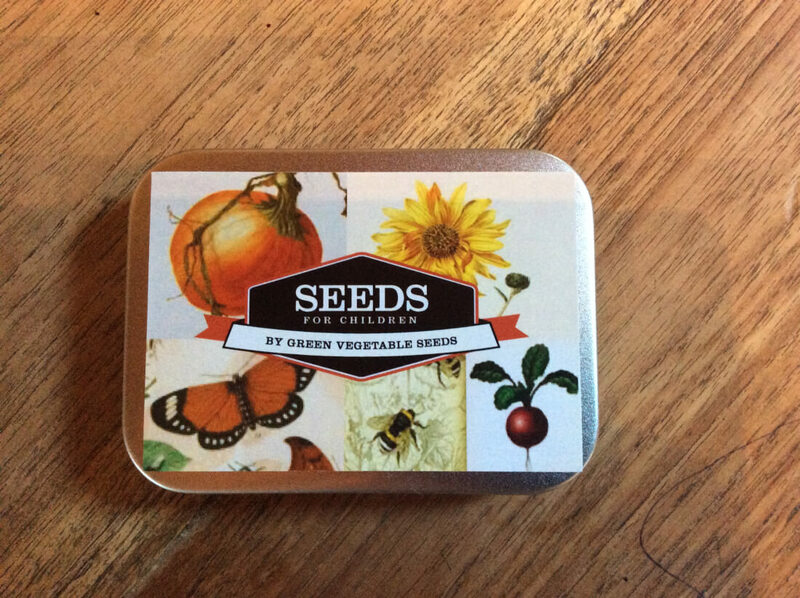 The tin contains the following seeds: Giant Sunflowers, Big Ugly Pumpkins, Bee & Butterfly Flower Mix, Cress and Radish. Have you ever grown giant sunflowers? If you have green fingers and good compost your sunflowers could grow up to 3m tall. That’s about the size of 3 children standing on top of each other! But watch out there are also dwarf sunflowers in the pack. By the way the world record for the tallest sunflower is 8.75m. Question: Which are the most expensive sunflowers in the world? Clue: In 1987, fifteen sunflowers were sold for around 40 Million Dollars. Sow individual seeds about 2-3cm deep into pots (empty toilet paper rolls filled with seed compost would be ideal) between April and early May and keep them on a sunny windowsill for about 4 weeks. Then plant them out with the toilet paper roll into good garden soil or into a really large pot. Remember the better the soil the taller your sunflowers will grow. At some stage you have to support them so they don’t fall over. Please send us some photos. Pumpkins can easily be grown outdoors in your garden or better even on an old compost heap. In this pack there is a large ugly pumpkin, one which looks like a turk’s turban (the hats of Turkish Men) and a squash. Sow individual seeds about 2-3cm deep into pots (9cm) filled with good compost between late April to early May. Plant out in late May/June. Ideally protect the new plants with a cloche for the first week. Watch out – once they get going they grow like monsters in all directions and try to conquer the rest of the garden. The heaviest pumpkin that was ever grown weighed over 1,000kg – that’s as much as 30 seven year old children weigh together. Wait until October before you harvest them and please don’t waste the lovely flesh when you carve them out. It makes delicious pumpkin soup. 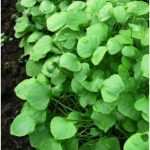 Garden cress is the best starter plant for children. It starts to grow within a few days and you can eat the leaves within a couple of weeks. Any container is suitable – even eggshells from your boiled eggs, yoghurt pots or flower pots etc. Just put a few drainage holes into the bottom. Sprinkle seeds thickly into any shallow tray filled with seed compost and cover very lightly. You can cut out shapes or bubble write and create a plant picture. On your windowsill they can be sown any time of the year. This is a beautiful mixture of over 20 different flowers that are loved by bees and butterflies. Both bees and butterflies are fascinating creatures. Find out why they are so important to us. Sow 10 seeds into each module of a cell tray or sprinkle them into a normal seed tray or pot (about 1 to 2cm apart) from late March until early May. About 4 to 6 weeks later plant them into the garden or pot or hanging basket. Radishes are the easiest vegetable to grow and hopefully if you have grown them yourself you’ll also eat them. They are really delicious when eaten small and especially with some salt and butter on them. Sow seeds about 1-2cm deep in any container with a minimum of 5cm depth or directly into the garden soil. Make a shallow trench about 2cm deep, sprinkle the seeds into it (not too thickly – about 2-3cm apart) and then cover over the trench. The radishes will be ready to eat within 4-6 weeks. Outside you can sow them from April until September.